FEATURE — Now that school’s out, there is more time for the family to explore all that southwestern Utah has to offer. Two of the best types of places to cool off this summer are in the water and in the mountains, which are the focus of this “2017 Southwestern Utah Summer Fun Guide,” as well as a few other ideas for entertaining the clan this summer. So let’s get out there! The Beach at Sand Hollow has all kinds of rentals, from jet skis to canoes. Navajo Lake Marina has hydro-bikes, kayaks, paddleboards and pedal boats. Panguitch Lake has pontoon boats and fishing boats. Swimming pools – Last summer’s guide encouraged a “tour” of the municipal pools in the area, including the Sand Hollow Aquatics Center, the St. George City Pool, the Washington Community Center Pool, the Hurricane City Pool and the Cedar City Aquatic Center. However, one incredible pool experience was not listed last year: the Veyo Pool, located just 17 miles north of St. George on state Route 18. Built in the 1920s, the recently renovated pool tucked away in a small basalt canyon also offers climbing and camping in Crawdad Canyon. 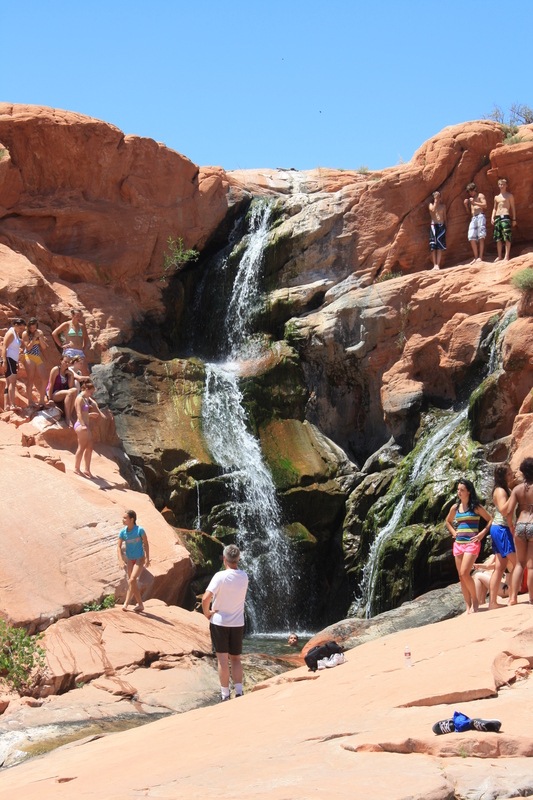 For an even farther-flung pool experience, families can also visit the pools in Kanab and Mesquite. Natural swimming holes – Instead of a man-made, chlorine-filled swimming pool, sometimes it’s nice to swim and play in natural, free-flowing waters. A few fun local swimming holes include Toquerville Falls, Sheep’s Bridge in Virgin and Lower Pine Creek in Zion, but which is away from the crowds normally found in the park. Last year’s guide also touted the area beneath the spillway of the Gunlock Reservoir Dam as an ideal swimming hole, but it actually ended up being a bust in 2016 because of low water levels. However, Laura Melling, Sand Hollow Complex Manager, has confirmed that there will be water over the spillway again this year after a wonderful water year. Brian Head’s summer activities – Brian Head isn’t just for downhill skiing. In the summer, there are a plethora of activities in which to take part, including “avalanche tubing,” rock climbing, disc golfing, mountain biking, zip lining and even jumping the “peak shot” trampoline. 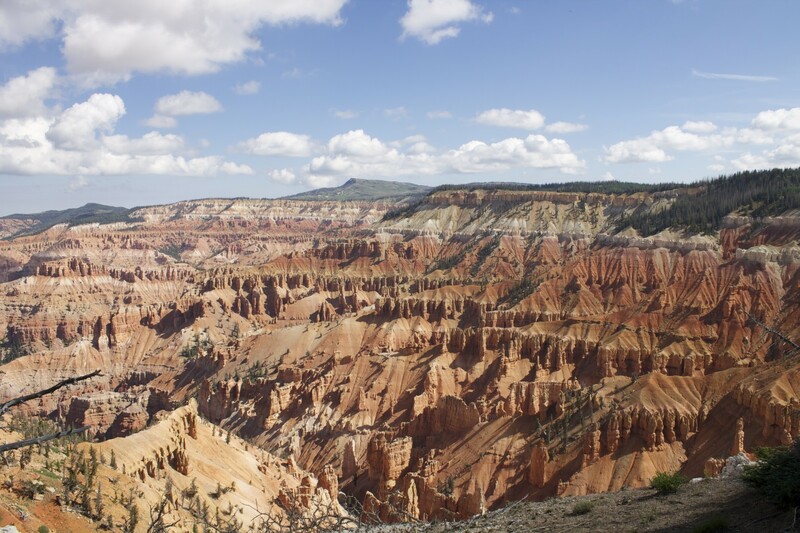 Cedar Breaks/Cedar Mountain – Cedar Breaks’ Sunset Point and Alpine Pond trails are ideal for children, especially Sunset Point, which is paved and stroller friendly. The view of the amphitheater of hoodoos sits above 10,000 feet and is a nice respite from the summer heat. Nearby on Cedar Mountain are the Bristlecone Pine Trail, a half-mile loop with stunning views into Zion, and the Cascade Falls Trail near Navajo Lake that displays the beginnings of the North Fork of the Virgin River. Besides these trails, there are many more trails from which to choose in Iron County. Kolob Plateau/Lava Point – The drive along the Kolob Terrace Road that turns off from state Route 9 in Virgin is a tremendous scenic experience in and of itself, but it has two payoffs near the end of it. Lava Point, the highest point in Zion National Park, includes a six-site campground, picnic area and sweeping view of the park, and Kolob Reservoir offers a serene fishing spot where one will see no waterskiers or personal watercraft, like Jet Skis. Leeds Canyon – This hidden gem above the town of Leeds is a beautiful treasure where red rock gives way to evergreen forests. 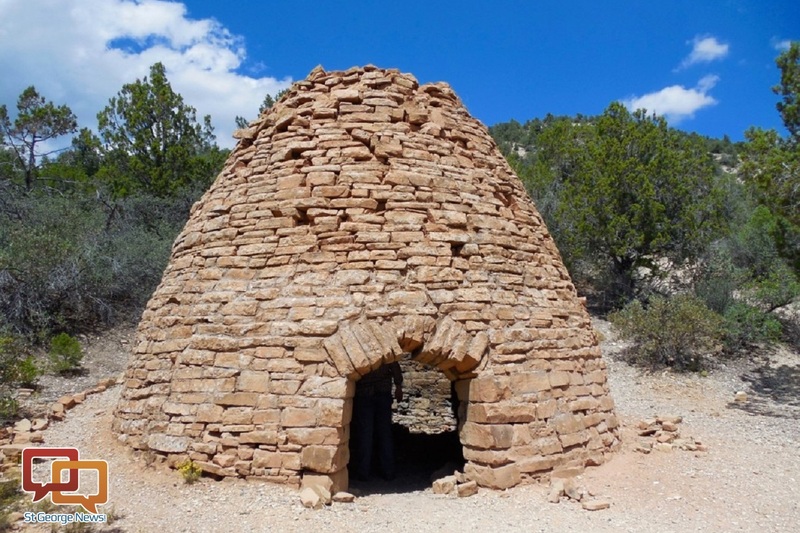 Two places worth a stop are the Children’s Forest, which includes a historic kiln, and the Oak Grove Campground, a relic from the Civilian Conservation Corps that makes an ideal picnic spot and provides a different perspective of the mesas surrounding Hurricane and looking toward Zion. Parowan Canyon – If you’re driving up state Route 143 between Parowan and Brian Head, make a left turn at First Left Hand Canyon, also known as Five-Mile Canyon. This side route offers unexpected scenery, including red rock outcroppings in the forest, Vermillion Castle and Noah’s Ark. Four fairly short hiking trails to explore the area include Vermillion Castle, Noah’s Ark, Hidden Haven Falls and Henderson Hill. There is a nice picnic area at the base of Vermilion Castle, and if you want to explore more, follow the road up to Yankee Meadow Reservoir. Pine Valley – You can’t go wrong with a trip to Pine Valley to dabble in a little history with a tour of the historic Pine Valley Chapel, the oldest continuously used meeting house in The Church of Jesus Christ of Latter-day Saints LDS Church. Then move to Pine Valley Reservoir and the picnic area nearby. Its an ideal place for kids to pal around in nature. Zion Canyon can be a madhouse in the summer, but there is much more to Zion than its most-visited section. Read the St. George News exclusive series “Zion National Park Traffic Jam,” which focuses on issues related to Zion National Park’s growth challenges and its ripple effects on surrounding communities. East Zion – When you exit the east end of the Zion-Mt. Carmel Tunnel it’s almost like you’re in a different park, with white sandstone knolls like Checkerboard Mesa, different vegetation and different wildlife, including herds of bighorn sheep. A couple of lesser-known trails in this area include Many Pools and Gifford Canyon. Kolob Canyons – Easily accessible from Interstate 15 Exit 40, an interpretive sign at the Kolob Canyons Visitor Center describes it as a “park within a park.” It boasts two fairly level hiking trails, Taylor Creek and Timber Creek Overlook, as well as a 5-mile scenic drive with different-looking monoliths than Zion Canyon. Kolob Terrace/Smith Mesa – The road leading to Kolob Reservoir travels in and out of the park boundaries and provides a whole new perspective on the park. One fun stop could be the hoodoos near the Hop Valley trailhead or the Northgate Peaks Trail. For a scenic drive outside the park but with a good view of the park, explore Smith Mesa. Visit in the evening or at a slower pace – If you want to visit Zion Canyon in the summer, visit after 6 p.m. for smaller crowds and cooler temperatures. One thing you can do in the evening is attend a ranger program at the South Campground Amphitheater. Most of the time the crowds aren’t very large at these educational events. 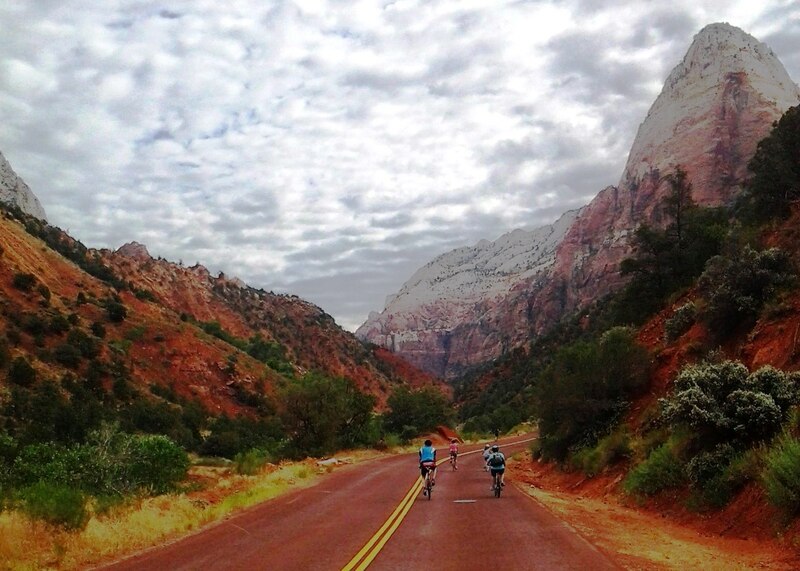 Another way to visit Zion and literally let the crowds pass you by (by way of the Zion Shuttle) is to bike up the combination of the Pa’rus Trail and Zion Canyon Scenic Drive. At a slower pace, you’ll appreciate the canyon more and have much better views than riding the shuttle. Historic sites – Southern Utah is home to many restored historic relics and historic sites great for learning history and photo ops, including the Brigham Young Winter Home, the Jacob Hamblin Home, the Leeds CCC Camp, the Mountain Meadows Massacre site, Old Irontown and the Pine Valley Chapel to name a few. Museums – It is important for children to learn history, if only to appreciate how good they have it with modern technology. Most museums in the area are kid-friendly, and several have scavenger hunts available for kids, including the Daughters of Utah Pioneers Museum (aka McQuarrie Memorial Museum) and Silver Reef Museum. 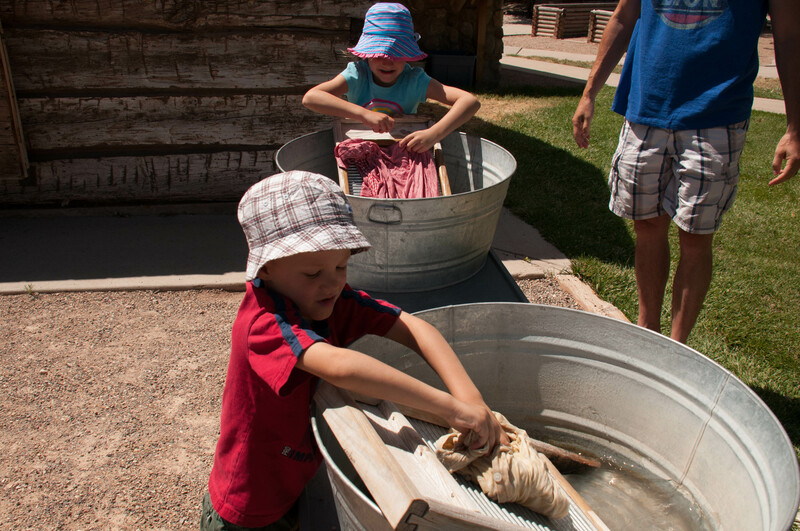 Another option with numerous activities geared towards children is the Frontier Homestead State Park Museum in Cedar City. Others worth visiting are the Hurricane Valley Pioneer Heritage Museum, Red Cliffs Desert Reserve Visitor Center/Museum, Washington City Museum. If you’re willing to drive a little farther, be sure to check out the Virgin Valley Museum in Mesquite and the Kanab Heritage Museum and Little Hollywood Museum in Kanab. Provide your children with the chance to see what life is like on a farm through farm camps offered by Staheli Farm and Western Legacy Farm and Ranch. Western Legacy also offers a Cowboy Camp for older children. Attending an astronomy program in a national park is an unforgettable experience – and a great way to cool off. Without light pollution, one can see many more stars and even the Milky Way. “Dark Rangers” provide instruction, pointing out various stars and constellations and also giving visitors the chance to look through telescopes for true up-close viewing. 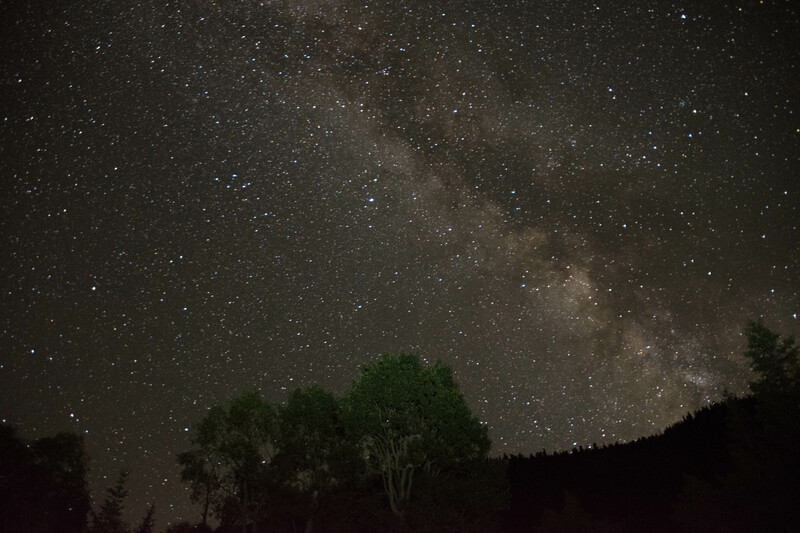 The closest opportunity to enjoy the night sky in this way is to attend a Cedar Breaks Star Party held every Saturday night in June, July and August. Cedar Breaks is the highest elevation NPS astronomy program there is. Other NPS astronomy programs available in the region are at Bryce Canyon National Park, which also hosts an annual Astronomy Festival, this year from June 21-24. The Grand Canyon’s North Rim holds its star parties June 17-24. Only a three-hour drive from Washington County, Great Basin National Park is another excellent spot to take in an astronomy program. 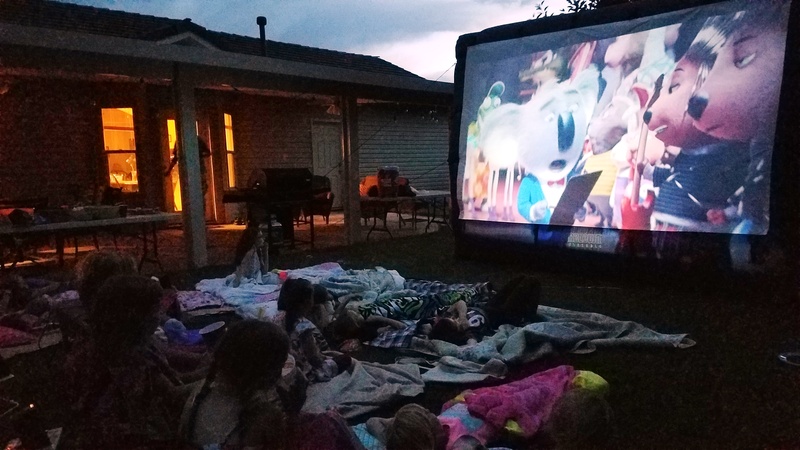 Hold a backyard movie night – For a minimal investment, you can hold an outdoor movie night in your own backyard. There are decent projectors out there for under $100. Couple that with a set of computer speakers and some type of screen, such as a sheet or the side of your house on the cheap end or an inflatable screen if you’re willing to make an investment, and you’ll have an unforgettable movie experience during the coolest time of day. Play lawn games – Fun for the whole family can be had using your backyard as a venue for games such as badminton, bocce, croquet or horseshoes. If your backyard is lit, playing them at night would be ideal. Play childhood games – Playing kick the can, capture the flag or even tag doesn’t ever get old. The bigger the yard, the bigger the fun. This summer activity guide is not exhaustive, but hopefully it will give you some ideas for a memorable summer. If you have suggestions that weren’t included in the fun guide, feel free to include them in the comments below or on the St. George News Facebook page. For further ideas, check out the previous fun guides, including the Summer 2016 Fun Guide, Fall 2016 Fun Guide and Spring 2017 Fun Guide.